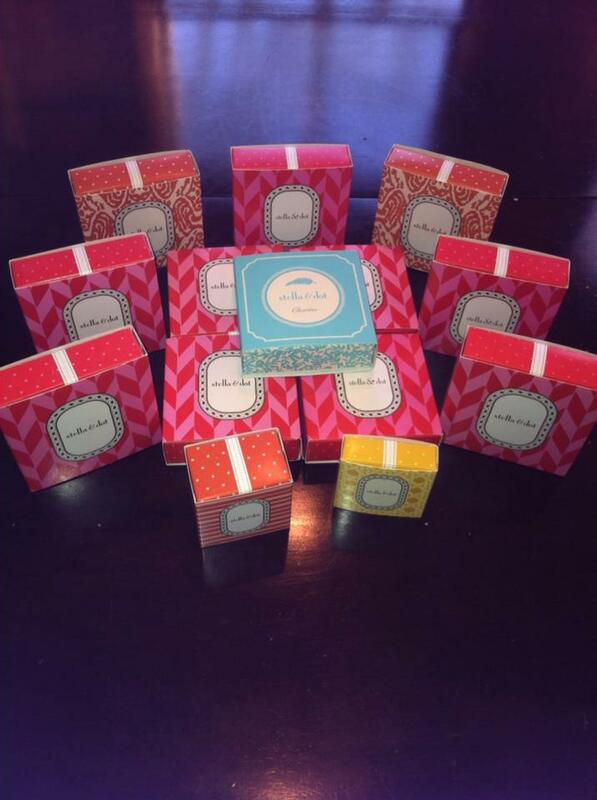 Stella & Dot Holiday Give~Away!!! 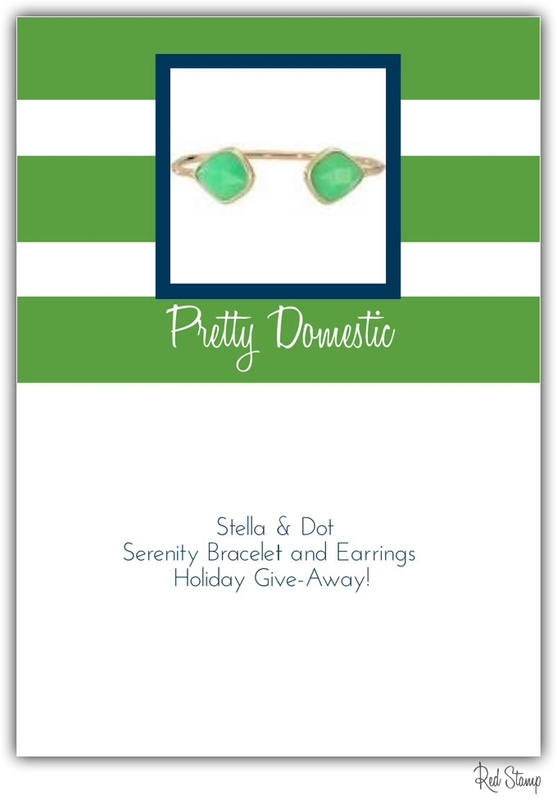 I’m so excited today, because I am partnering with Stella & Dot Stylist, Kristin Biggs, to bring to you a 2013 Pretty Domestic Holiday Give~Away! I met Kristin in Lilly Pulitzer, who was working the swankiest Stella & Dot in-store pop-up shop. So swanky in fact, that I left sans Lilly, but with a couple of jewelry pieces from the line; which really does have some of the most fabulously flirty baubles, and statement pieces. Now it’s your turn to enjoy Stella & Dot as much as I. So, just in time for the holidays, I am offering one lucky Doll the chance to win this Serenity Stone Cuff and Stone Drops Earrings in gold or silver (your choice)! Peep the entry “deets” below. Leave a comment below, sharing how you would wear the Stella & Dot Serenity Stone Cuff and Stone Drops Earrings! For bonus points, subscribe to receive your weekly dose of Pretty Domestic via email! The lucky Doll will be chosen at random on Friday, December 13th! PS ~ You’ll also receive your gift in the cutest packaging! The real question is, how wouldn’t I wear this set? I’m normally a silver girl but I love this shade if green and it looks great set in gold. I’d rock it with a navy shirt dress for work. On the weekend the set would be cute with jeans, tan riding boots, a drapey cardi or wrap, a bright white shirt and a cozy scarf. At times I’d probably pair the cuff with bangles for a stacked look. Thanks Mrs. Croxton; and good luck! I would wear the cuff and earrings with a slouchy white tee, leather leggings, a boyfriend sweater, leopard booties and the Kimberly necklace. Thanks Trish; and good luck! Such a lovely set! I love the versility. It would make it to work but would also dress up something casual for an elegantly casual weeknd look. I love green and think it pairs well with creams, camels, tans, and navys. All great neutrals that let the color pop! Wonderful give a away, my Pretty Domestic friend! Thanks Kimmie; and good luck! I am usually not a “green” person, but I love the bracelet. I would pair it and the earrings with my other gold bangles and a fresh laundered white cotton blouse with jeans and boots….so so adorable.